Kidrobot is busting out with all new exclusive colorways from Marka27, The Beast Brothers and Franken Monkey. These extra special limited editions will only be available through Kidrobot stores and kidrobot.com starting tomorrow Thursday, February 17 at 11am EST. Check with your local KR stores for current availability. 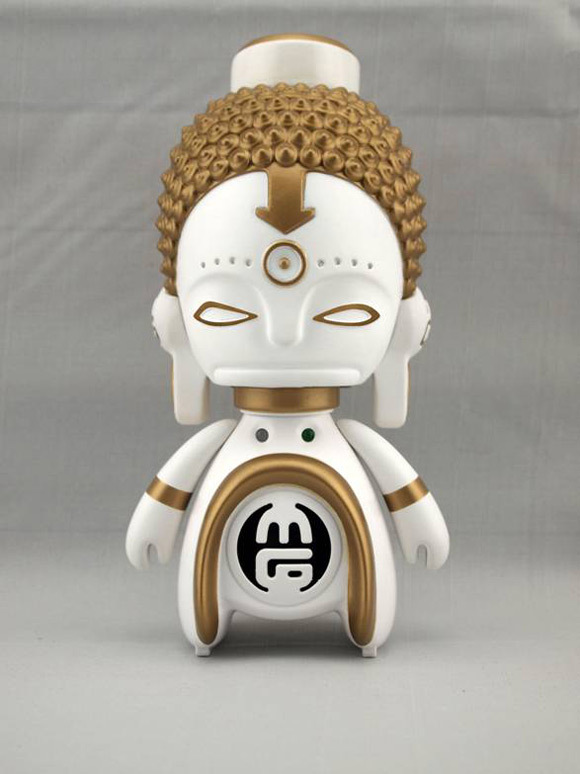 Bent World Spray Can artist, Marka27 is dropping a crispy new White Pearl edition of his Mini Asia Mini God. Standing at 5.5-inches and limited to 100 pieces for $40, this fully functional vinyl toy is equipped with speakers & tweeters that are sure to rock any desktop collection. Created deep in their jungle laboratories, The Beast Brothers have crafted a cool new KR exclusive colorway of their Calaverita Skull. Topping off at 5-inches high, each fiberglass artifact is painted by hand and limited to only 50 pieces for $100. Atomic Monkey has created a new edition of this popular, previously sold out vinyl character exclusively for Kidrobot. The 6-inch vinyl figure features glow in the dark eyes, removable top and a brand new squishy removable glow in the dark brain! This sinister new colorway is only $45 and limited to 300 pieces worldwide. The post More Exclusive Awesomeness For Kidrobot appeared first on Kidrobot Blog.